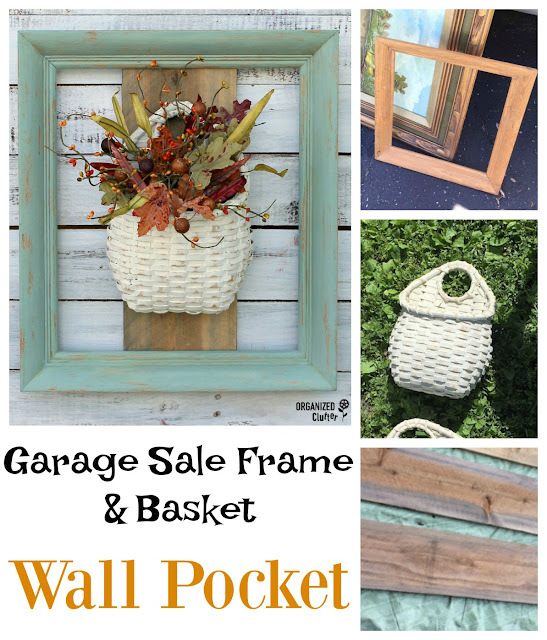 The artwork and the plain frame were recent garage sale finds. I paid $1 for each. The white baskets were also recent rummage sale finds. $2 for the pair. Time to whip up a project! 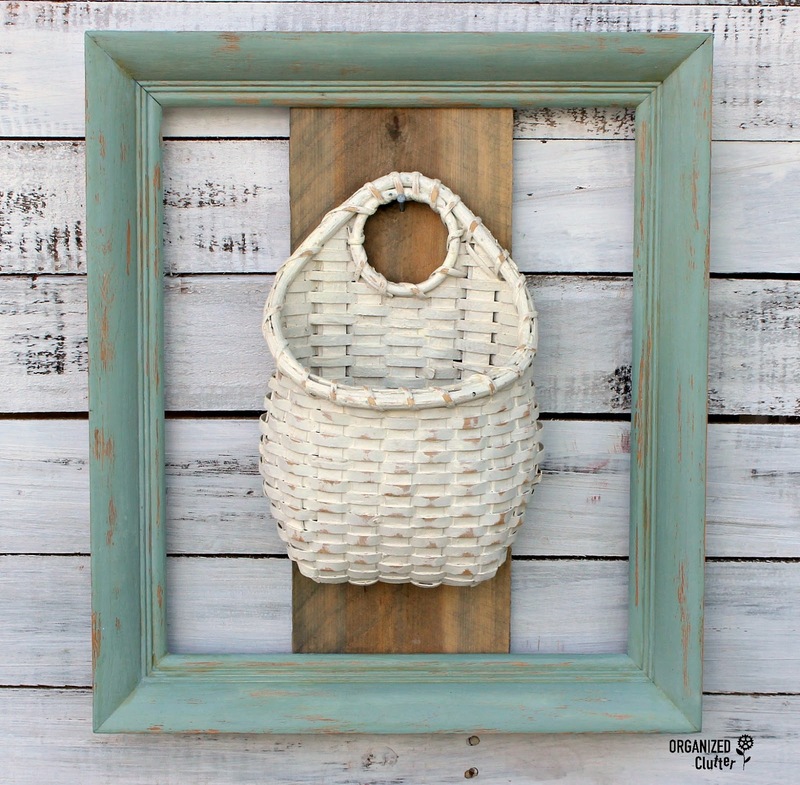 First I brushed two coats of Annie Sloan Chalk Paint in Duck Egg Blue on the frame, and wet distressed the frame with a damp rag. I had a scrap of rough sawn fence board from my bookshelf project that was just about the right size for the frame. The boards had been grayed with Varathane Weathered Wood Accelerator . It's water based and speeds up the weathering process. I like the results, especially on rough sawn fence boards. I did not seal the gray wood but I did seal the chalk paint with Varathane Interior Crystal Clear Water-Based Poly in Satin Finish . The board was cut to perfectly fit in the frame, and the nails were toed in to hold the board in place. Then I simply hung the small basket on a nail. 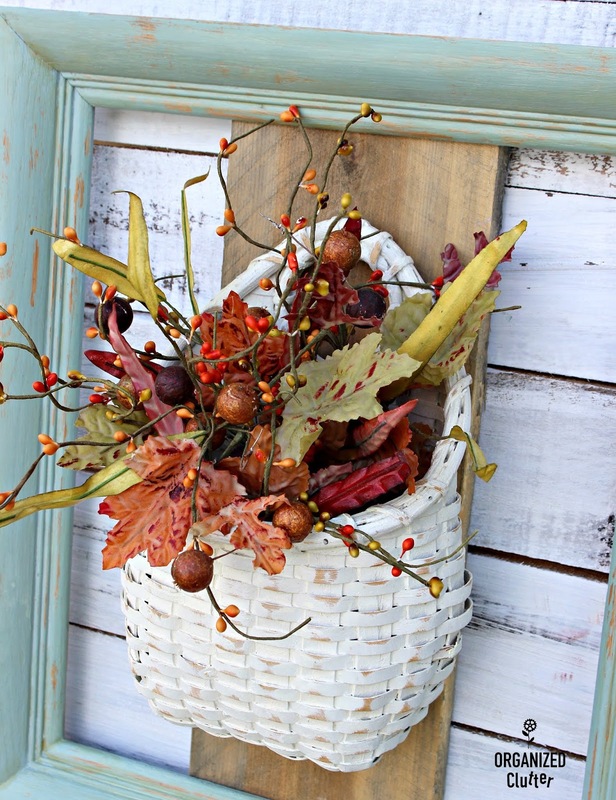 My fall floral picks are from Kruenpeeper Creek Gifts. 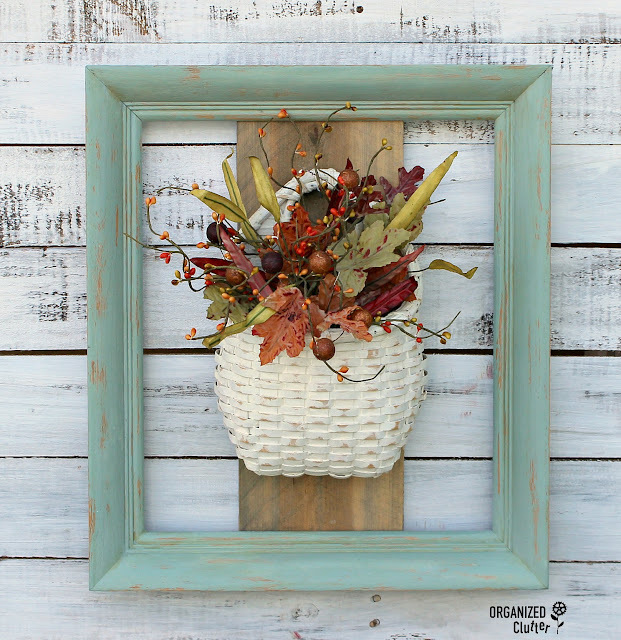 I like FALL colors with duck egg blue! The distressed frame and basket work well together too. 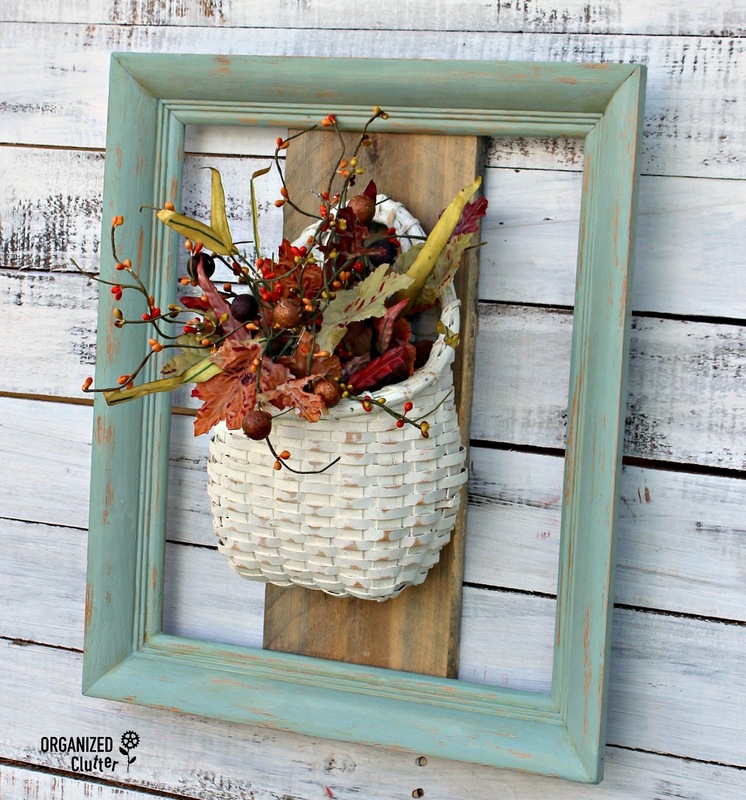 This would be a perfect project to hang on your door instead of a wreath. Omigosh, how do you think of these things??? This is so clever-cute most esp. cause you upcycled! What a cute door or garden decor! 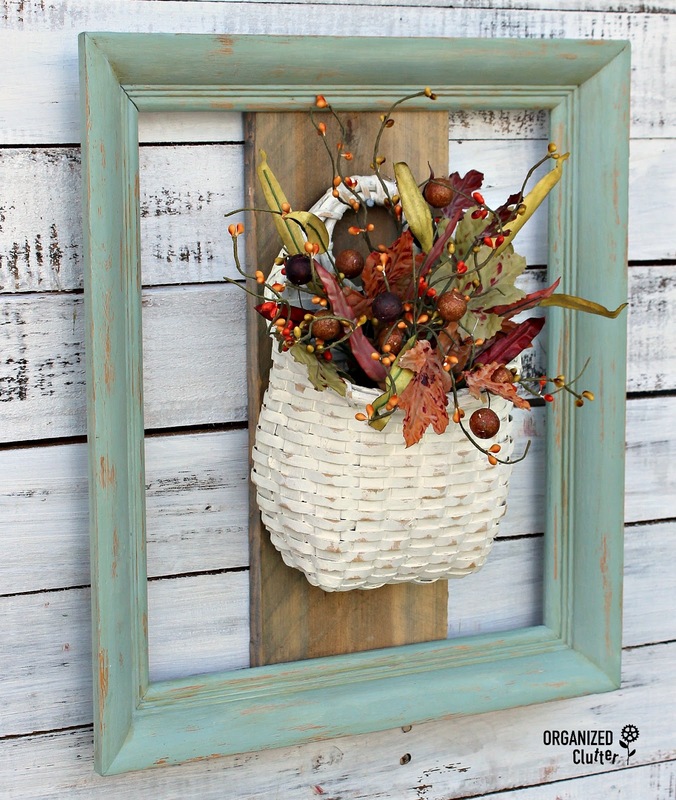 Another great fall project...I need to make this!